Once upon a time, 25 years was the standard amortization on a Canadian mortgage. Today, no less than 63 per cent of new low-ratio mortgages by value, have amortizations over 25 years. That's a surge of 11 percentage points in just two years. Meanwhile, six in 10 Canadians consider longer amortization periods "bad debt practice," according to a recent survey by Manulife Bank. The maximum amortization for a mortgage in this country is generally 35 years, although some non-prime lenders will do 40 years. “Extended” amortizations – those over 25 years – are only permitted on low-ratio mortgages. Canadian's penchant for extended amortizations is one that's both costing and saving them a whackload of money. A 30-year amortization slashes your payment about 10 per cent. But it also costs you over 20 per cent more interest over the life of a mortgage, assuming you don't make prepayments. Regulators don't like this long-amortization trend. It increases risk to the system, they argue, because people accumulate equity slower. Equity is a crucial buffer if times get tough and a homeowner needs to refinance or draw funds for retirement. People aren't about to stop taking longer amortizations. Here are four reasons fuelling the trend. Escalating home values: Since the turn of the century big city home prices have had only one down year, according to the Teranet-National Bank House Price Index. They're up 69 per cent in the last decade alone. Meanwhile, average weekly earnings have risen just 23 per cent in that same 10-year time frame. Canadians whose earnings haven't kept pace with home prices have little choice but to take longer amortizations if they want to board the housing train. Many "go long" on their mortgage for fear of being priced out of the market if they wait to qualify at 25 years – a fear that's proven valid based on historical data. Ironically, a 30-year amortization lets you afford about 10 per cent more home than a traditional 25-year amortization. But that buying power boost, in part, has supported the very price appreciation that leads so many into longer amortizations to begin with. Undersaving and overspending: Thanks to falling job quality, all-too-easy digital spending, costly housing, burdensome student debt, and so on, legions of young Canadians will keep spending too much and saving too little. It's not hard to see why so many homeowners pursue any possible way to cut their mortgage payments. Many are forced into 30-year amortizations just to qualify for a debt consolidation mortgage. Otherwise they wouldn't meet lenders' debt ratio limits, which usually cap your monthly payments at 42 to 44 per cent of your monthly gross income. A more heavily indebted borrower who's further ahead by paying down high-interest debt. Many prefer the flexibility of a long amortization because they know they can reduce their effective amortization at any time, simply by making a prepayment. Government rules encourage longer mortgages: On Jan. 1, the government's new borrower "stress test" will make it far tougher to get a mortgage at a federally regulated lender, like a bank. The new mortgage rules were designed to remove higher-leveraged borrowers from the market. And that could stabilize housing, to some degree. But in the immediate future, the overwhelming majority of borrowers who can't qualify at a 25-year amortization will choose a 30-year. Doing so lowers the restrictiveness of the new stress test by roughly half. And therein lies more irony. Policies purported to reduce risk will make millions of borrowers "higher risk." If you think the trend toward long amortizations will peter out, you ain't seen nothin yet. Until supply meets demand, and potential 2018 weakness notwithstanding, home prices could keep climbing faster than incomes. The majority of young Canadians will keep overspending and saving too little. 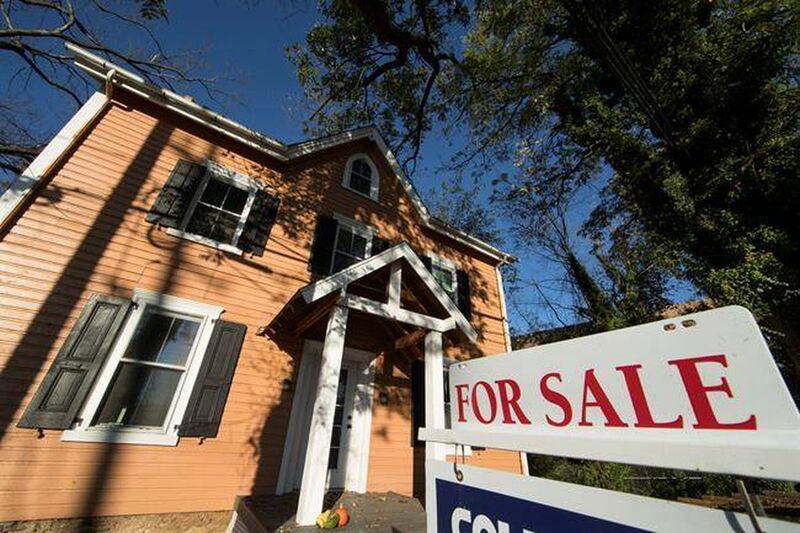 Mortgage regulations will keep forcing millions to stay in debt longer. You can bet on all that. So that leads me to the following prediction. In the next five to 10 years, barring regulatory intervention, more than three in four conventional mortgage shoppers will choose an extended amortization. In time, more lenders could roll out even longer amortizations (35, maybe even 40 years) to meet borrower demand. Not only that, but countless more will flock to home equity lines of credit (HELOCs) where amortizations are virtually infinite – not to qualify for a bigger mortgage, but to avail themselves of lower interest-only payments. For 2018, however, the new standard for uninsured mortgages will be the 30-year amortization. And it'll stay that way … unless the federal government outlaws them. Now there's a mortgage rule they haven't tried yet. Can the government save the middle-class wannabe homeowner in Toronto and Vancouver?